10510 Adel Rd. Oakton, VA 22124 was Just Listed by The Belt Team! This beautiful brick colonial is in sought after Avon park! Featuring 5 bedrooms, and 5 full and two half baths. Plus, it’s a car enthusiast’s dream, featuring an attached 3 car garage & detached 3 car garage. The detached garage also includes apartment/home office/”man cave” above with full bathroom. Exceptional features include: shining hardwood floors, vaulted ceilings, high-end architectural details, five fireplaces, a gourmet kitchen featuring professional Viking stainless steel appliances, double oven, cooktop, wine refrigerator, upgraded granite and marble countertops, and much more.Additionally, there is extensive hardscaping/landscape upgrades throughout property, along with a recently renovated heated pool, pool house, gazebo, spacious deck, and travertine and brick patios. This is luxury tucked away in Oakton! Call or text Terry & The Belt Team at (703) 242-3975! Call or text Terry & The Belt Team at (703) 242-3975 if you would like to buy or sell in Northern Virginia this year. (Sellers – you’ll be interested to know that Belt Team Sellers sell FASTER and for MORE money than average! Welcome to this beautiful Oakton townhome approximately 1 mile from the Vienna Metro! This 3BR/2 full & 2 half BA home features an open floor plan, light-filled kitchen with bay window, moldings, pillars & other interesting architectural touches, new carpet & paint, updated baths, a wood-burning fireplace, lower level family room with built-ins, back deck and a stone patio. Great for commuters and minutes to the heart of “downtown” Vienna, Oakton, Tysons Corner and more! For more questions, a specific update on YOUR neighborhood, or a FREE Buyer or Seller Consultation. – call Kevin Kleifges Belt & The Belt Team at (703) 242-3975. 2939 Miller Heights Rd Oakton VA 22124 was just listed by The Belt Team and is OPEN SUNDAY FEBRUARY 5th 1-3 pm! Here’s a sneak peek! 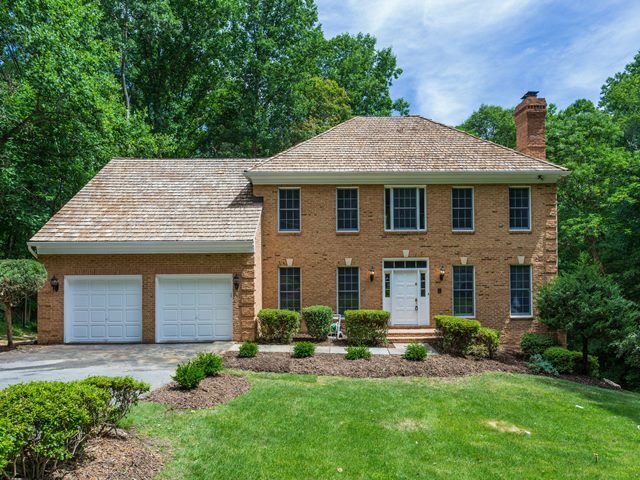 Welcome to this beautiful brick-front colonial on a private half acre lot close to all the amenities of Oakton, Vienna, Reston and more! This home features a flowing floorplan perfect for everyday living & entertaining, hardwood floors throughout the main & upper levels, a wood-burning fireplace, updated kitchen & baths, a large finished lower level rec room, a back deck & spacious yard! Unbeatable location, excellent schools and great for commuters…don’t miss an opportunity to make this your next home! 2976 Palmer Street, Oakton, VA 22124 was just listed by The Belt Team and is OPEN SATURDAY MAY 21 1-4pm! Here’s a sneak peek! Welcome home to this absolutely charming property on a premium, over half acre lot in a fabulous Oakton location! Special features of this 3 bedroom/2 bath home include hardwood floors throughout, crown molding, kitchen with cherry cabinets & stainless steel appliances, a separate dining room, main level master suite, an antique claw foot tub, a front porch with swing and a screened porch overlooking the amazing fully fenced backyard. Great location for commuters, excellent schools, & convenient to many shops, restaurants, and recreational facilities. 10535 Sunlit Rd Oakton VA 22124 has just been listed by The Belt Team! Here’s a sneak peek! Welcome to this beautiful, light-filled colonial on a fabulous 5 acre lot in Oakton…a peaceful and tranquil setting yet close to many amenities, great schools and major commuting routes! Along with 3 finished levels, 4 bedrooms & 3.5 baths, this property offers an open & flowing floor plan, refinished hardwood floors, 3 fireplaces, an updated eat-in kitchen, a separate dining room, a family room with vaulted ceiling, a main level office/den, and living room. Other stand out features include a stunning master suite with sitting room, updated baths, a spacious walk-out lower level, a private 2 level back deck, and a 2-car attached car garage. 11804 Lyrac Ct Oakton VA – JUST LISTED! Price, Details & LOTS of photos of 11804 Lyrac Ct in Oakton. Welcome to 11804 Lyrac Ct in Oakton and a custom built colonial situated on a premium, almost 1 acre lot in a fantastic community. Offering rural charm & terrific schools, yet convenient to all the amenities of Oakton & Vienna, and easy commuting. 3 finished levels of living space with features including gorgeous hardwood floors, updated kitchen with breakfast area, 3 masonry fireplaces, main floor study/den, family room with soaring ceilings, a spacious formal dining room and delightful master suite. The finished lower level includes a spacious rec room with fireplace, game & exercise rooms. Plan to be wowed by the extensive landscaping, 2 custom Ipe decks, slate patio, small pond with stream bed and so much more. This home has unbeatable curb appeal and is truly a must see! January 11th Open House – Luxury Home in Oakton’s Horse Country On 1.74 Acres! Are you looking for a stunning custom, luxury home nestled on 1.74 acres in the heart of Oakton’s horse country oh so convenient to the amenities of Vienna, Oakton & Reston? If so, you’ll want to take a peek at our fabulous listing at 2407 Oakmont Court! Pricing, more info and additional photos of 2407 Oakmont Ct in Oakton. Stunning 4-sided brick custom home nestled on a private 1.7 acre lot in Oakton’s horse country. This property offers endless versatility and exceptional features like an amazing main level master suite with sitting room, dressing room, spacious bath with a spiral staircase leading to sauna & loft area, and access to back stone patio, soaring ceilings, 4 fireplaces, 5BR/5 full & 2 half baths, a main level library with two walls of built-in bookcases, large gourmet kitchen with breakfast room, a great room with a wall of French doors leading to the back patio and so much more! An oasis of tranquility yet oh so convenient to the amenities of Oakton, Vienna & Reston Town Center! Call Terry Belt at (703) 242-3975 to schedule a showing. Another gorgeous home from The Belt Team Portfolio . . . ! Open House in Oakton’s Horse Country On 1.74 Acres! We think this would be a spectacular way to bring in the New Year!